I think the product I am most excited about is the Supergoop! Serum. Wearing SPF on a daily basis is so important for your skin, and I have so many moisturizers and makeup products that have no SPF. My foundation does have SPF, but I don't manage to wear foundation each day, so I was thinking the other day I need to organize them all and make sure I have at least one SPF product on each day. I've tried other Supergoop! products and found that sometimes they were a bit heavier than I needed for Seattle, and this one is super light, which is very exciting. I'm going to make a point of using this all week to see how I feel, but I feel a favorite coming on. 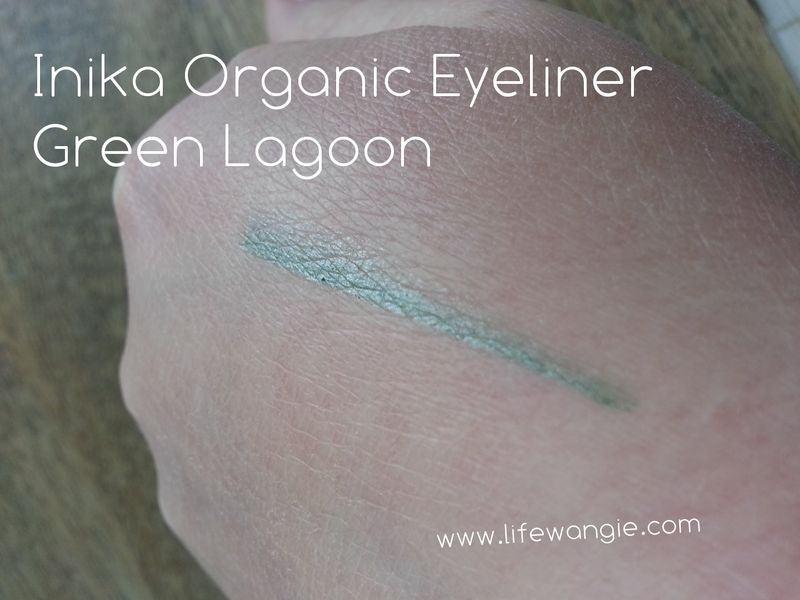 The next thing that is really fun for me was the Inka Organic Eyeliner. I have so many eyeliners, but I can never have enough. Also, it kind of makes sense that you would want to use an organic product around your eyes. There were a couple of products I was just "eh" about. One was the Jergens BB Body Perfecting Skin Cream. 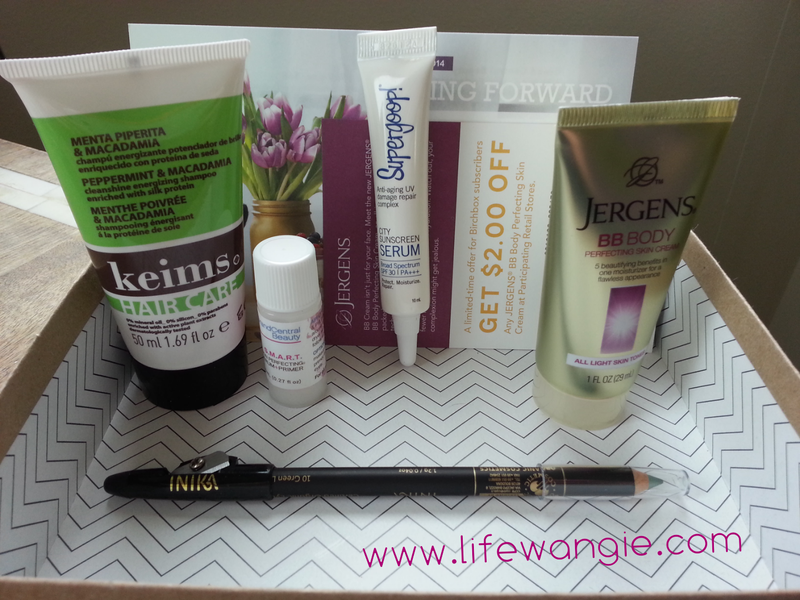 A lot of girls were irritated that a drugstore product showed up in Birchbox, but as long as it is just one a month, it's fine with me. They usually come with generous coupons, and this one did as well. I actually found my favorite razor ever through one of this Birchbox "extras." But I think BB cream should be called BS cream, because it doesn't really do anything for me, and I have never once thought I needed it for my body! It's basically just a tinted body lotion. I'll use it up and I might check out the price at Rite Aid with the coupon, but I am not going to go out of my way to use this in the future. The other "meh" item was the Grand Central Beauty S.M.A.R.T. Skin Perfecting® Serum + Primer. It's fine, but I have a ton of serums, and this one is pretty expensive. I'd rather get the Supergoop! one with the SPF, which is the same size, and $26 less. 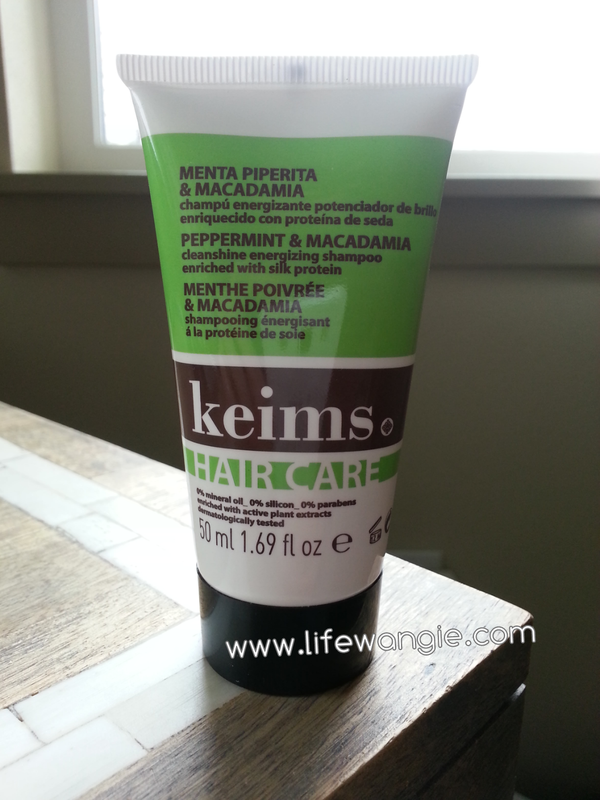 Last, the Keims Cleanshine Energizing Shampoo. I get kind of annoyed when I get shampoo but not conditioner in beauty boxes. I use both and would like to be able to try them both out from the same line. But putting that aside, I really liked this shampoo. It's lightweight, foams up a lot, and rinses out well. I liked it even better when I saw a full-sized bottle was only $9.50. I have a really hard time finding affordable shampoos. I've seen some complaints on beauty forums that the fragrance was masculine, but I would describe it as unisex. I'm not sure if I will purchase this, but it could happen sometime when I am building up a Birchbox order to use points or discount codes.